It’s getting easier and easier to go green. That is, when it comes to planning meals around fresh, organic ingredients and reducing your family’s carbon footprint. Local farmers’ markets, once a postcard memory of rural road trips, are popping up all over the U.S. in more and more urban areas. 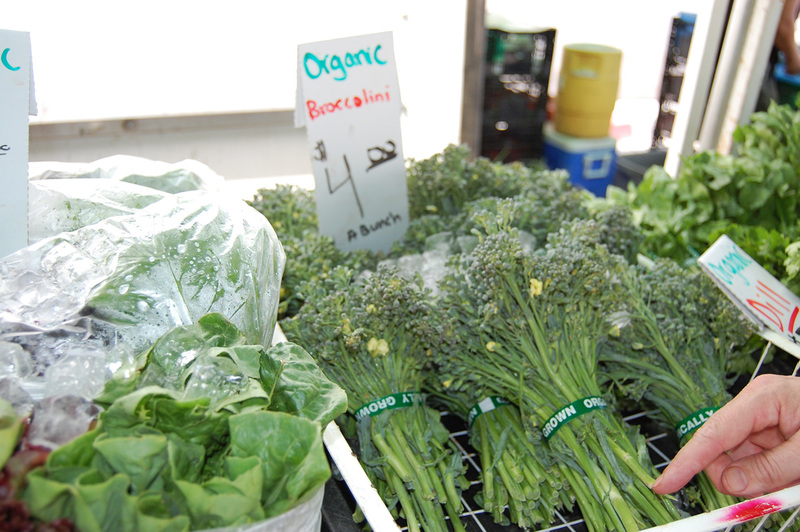 The National Farmers Market Directory lists more than 8,100 today, a figure that’s almost doubled in the last decade. So what’s up with this throwback to the trading posts of yesteryear? Farmers Markets have deep roots in American history. Early records tell us that Thomas Jefferson bought beef, eggs and assorted vegetables at a Georgetown market in July of 1806. In the first decades of this country, towns with 30,000 residents or more sponsored municipal markets. But, with the advent of refrigeration and better roads, supermarkets and wholesalers took over, pushing small farms and markets out of the mainstream. The Smithsonian reports that it wasn’t until the mid-1970s and the Farmer-to-Consumer Direct Marketing Act, when a movement took hold to preserve the livelihoods of small farmers and their local farmlands. 2. Schmooze and cruise before buying. “Walk around and look at everything before you pull out your wallet,” says Bour. “Prices and quality do vary.” He also suggests talking to farmers and making a connection. “If you get to know the farmer, they’ll cut you a deal.” He says farmers like to hear from returning customers who compliment their harvest. 3. Celebrate seasonal. Chefs plan their menus based on what’s in season. Home cooks should as well. “Don’t expect tomatoes in December,” says Bour, who especially loves turnips, beets and chard when they are in season. If you happen to live in one of the top 10 states that account for more than half of America’s farmers’ markets, count yourself lucky. Others can still luck out and find a local farmer by logging their zip code on the USDA’s Farmer’s Market Directory page or by searching on the National Farmers Market Directory. 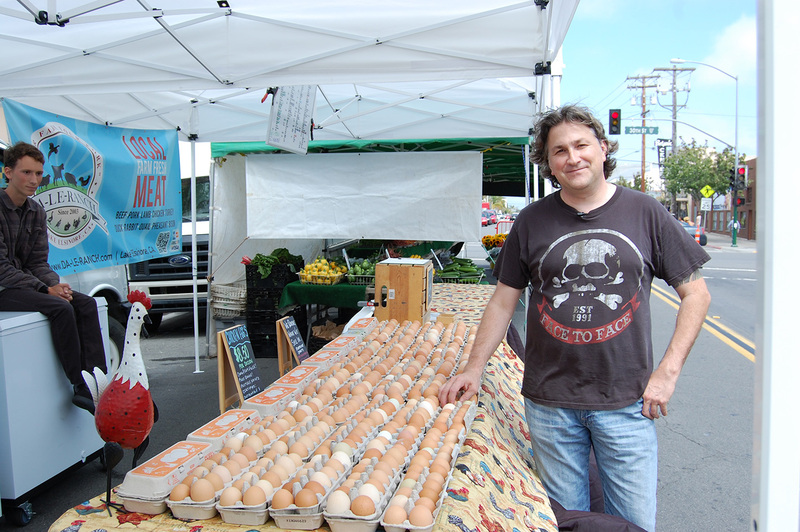 When asked to name his favorite organic markets, Chef Bour says San Diego boasts the best he’s ever seen. Two of his favorites are Chino Farms and Northpark at the intersection of North Park Way and 30th Street. He’s also a fan of New York City’s Greenmarkets, Atlanta’s Morningside Market and the Amish Country farmers outside of Washington, D.C.
Travelers rate these markets among their favorites and this handy guide gives you top picks from all 50 states. “The same philosophy works for your family,” Bour says. If you’re thinking about starting a garden at home, Bour recommends planting kale because it can be cooked, used in salads and blended into smoothies for a super vitamin boost. He also likes tomatoes, potatoes and shallots, which he uses in almost every recipe. “The anti-starch movement is silly,” says Bour. “People just need to start exercising more!” A family walk to your neighborhood farmer’s market is a great way to start moving and join the movement toward a healthier lifestyle.